Just over a month ago, I was shocked when I was force-fed a twitter screen takeover while looking at my domain names registered at GoDaddy. Immediately, I did some news searches to see if GoDaddy had purchased Twitter because it seemed very out of place. There were no such announcements. In fact, there was very little news about this development. 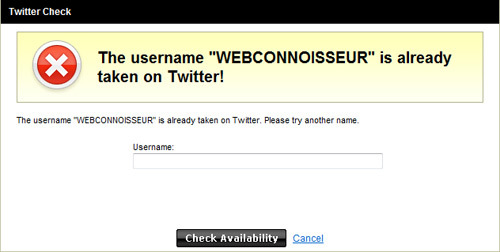 Every time I’m in my account tweaking my domains, I can’t help but notice the twitter promotion overload. I can’t help but wonder why GoDaddy would take such a keen interest in helping to fuel more twitter accounts. From a service perspective, it is pretty lame because it is already incredibly easy to check name availability and sign up for twitter. 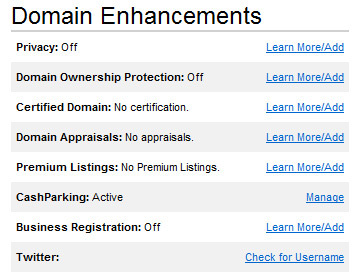 I could think of a hundred other features GoDaddy should build and promote instead. If it were a two-way arrangement, where Twitter promotes domain registration for Twitter user names, then I could see the benefit. 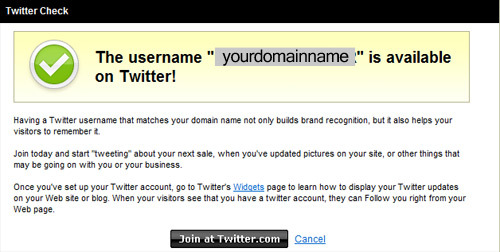 So why do you suppose GoDaddy is pimping Twitter so much? Is GoDaddy going to buy Twitter? 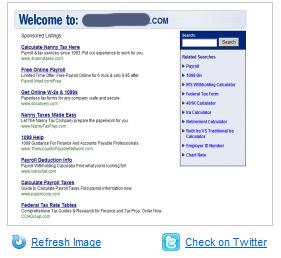 Is Twitter paying GoDaddy for this treatment? Is GoDaddy’s product development team overly caught up with Twitter & group-think led them to believe this add on would separate them from other registrars? I have no idea, but it will be interesting to watch this over time.